WHEN Manoa Rasigatale talks about sharks, he is passionate. He oozes with admiration for this ancient predator and has made it a personal mission to make people give sharks the respect they deserve. “They are very intelligent, very sophisticated, beautiful, loved and they’re feared. “Sharks are among the most friendly, inquisitive and very smart. Humans fear them because they don’t know them. They are an ancient species who have been around through the ages and seen the changes to their world. They should be respected. “The Fijian people are related to the shark. We have evidence of this in Fiji. The first is the chiefly yavusa of the Ai Sokula from Cakaudrove, home of its paramount chief, the Tui Cakau, Ratu Naiqama Lalabalavu. “The second is at Rukua in Beqa in the province of Rewa. The third is the province of Serua on the island of Yanuca. The fourth is the province of Kadavu, a relationship forged between the shark god Dakuwaqa and the octopus Bakaniceva. “In the old days, man and sharks communicated. Man could send the shark to do what man needed done to survive. Mr Rasigatale says our early fathers had loyalty and belief in the mana of the land and in the “qio” (shark). 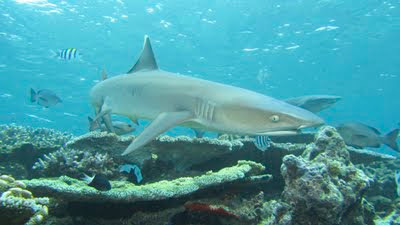 Whitetip reef shark (Triaenodon obesus) in Beqa Lagoon. “The idea of conservation in Fiji is not new, it is from our early days. Our forefathers believed in vakatatabu (to abstain from fishing) in certain areas to allow fish stock to grow. They would fish in one area and allow other fishing grounds to grow and then move on. They did this so they would not be poor. “God gave them everything in our wasawasa to use properly, and smartly. They were not given these resources to be cruel to or to kill them all at once. Their belief was that if you looked after them, we’d be looked after too. This applies to us today. “The shark is the top predator in the sea, it is god of all the fish. Without it, there is no survival for the species in our seas. 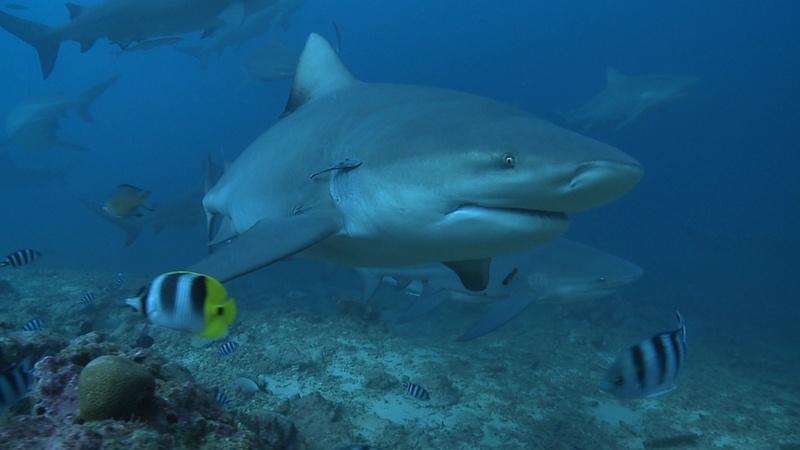 Without the shark, the wasawasa will be poorer, the coral will disappear, the reefs will disappear, the sand will be disturbed, the fish that we rely on for our meals will run for their lives from predators in the middle of the marine food chain. “If there is no shark, all these will be affected. What will we eat? What will the world survive on? Coral Reef Alliance and Pew Environment Group meet with Ratu Naiqama Lalabalavu (center, bearded), Turaga Na Tui Cakau, in Somosomo Village, Teveuni Island, Fiji. 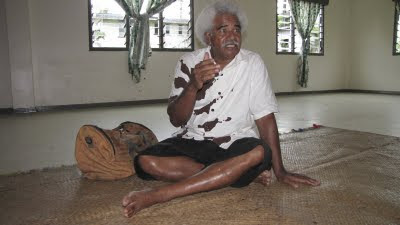 The sharkman, as Mr Rasigatale has been dubbed because of his passion for them, made a traditional approach to the Turaga Na Tui Cakau, Ratu Naiqama Lalabalavu, to seek his support for the campaign — led by the Pew Environment Group and the Coral Reef Alliance (CORAL) — which are working with the Fiji Government to safeguard sharks in Fiji’s waters. “This relation between man and shark, in the chiefly province of Cakaudrove, is very important. The Turaga Na Tui Cakau stressed the importance of this tie. It is said when twins were born from the yavusa of Ai Sokula, it was decided that they be put into the sea. The one that would turn into a fish would become their god, who is now known as Dakuwaqa. “The one that would be human would be from where the bloodline of the Ai Sokula would come from. “When that child was put into a basket, made from leaves, and as it drifted out, his relatives out at sea saw it, took him out and carried him to a stretch of sand where they rested by the trunk of a very large tree that had beached there. When the twins were born, hundreds miles away on the island of Beqa, a mataqali of gonedau (fishermen) was alerted. The clansmen from Rukua Village hurried to Cakaudrove to go and see this special child. These people from Beqa also had a shark god but they called it the Gone mai wai (child from the sea). The believed this was the same god so they went to Somosomo to visit and stayed. They became the members of the mataqali Benau, the name of the island drifting off the coast which was also the residence of Dakuwaqa. The mataqali members from Rukua lived on in Somosomo while the rest remained in Beqa. The third evidence of our link to the sharks, according to Mr Rasigatale, is in Yanuca Island, Serua. Legend has it that there was once a discussion between two brothers from the yavusa Nukutabua. After seeing the destruction of their reefs, the younger brother promised he would look after the reefs and the elder one to look after the land and its people. The younger brother became a shark and was called Masilaca (meaning his sail was made of masi). 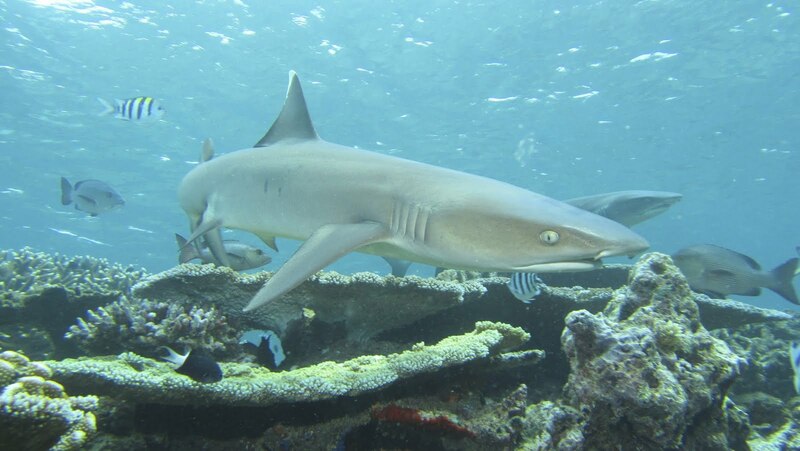 The Kadavu link to the shark was born out of a challenge Dakuwaqa made to the octopus Bakaniceva on the reef in the bay of Naceva. “Dakuwaqa wanted to prove to Bakaniceva that he was king of all living things in the sea. Bakaniceva made Dakuwaqa promise that he’d do what he wanted if he lost. So they fought. Bakaniceva then grabbed Dakuwaqa with four of his tentacles and held on to the reef with the other four. Dakuwaqa lost and then agreed that he would not attack anyone from Kadavu when they are at sea. “From that day, no one from Kadavu has been bitten. Mr Rasigatale says this special relationship exists today. When the former President, Ratu Sir Penaia Ganilau, passed away, sharks escorted his body to his chiefly home in Taveuni. They patrolled the waters off the village. For this Rewan shark campaigner, his mission is not over until all Fiji's people know the story of the shark and its link to our survival. Pew, which Mr Rasigatale works for, has pushed for protection of sharks around the world as their population plunges. It estimated in a study of the Hong Kong shark fin market that humans kill up to 73 million sharks each year simply to supply the fin trade. Many scientists believe that there are more than 100 million sharks killed annually for fins, meat and other shark products. The sharkman has lobbied for support from around the country. 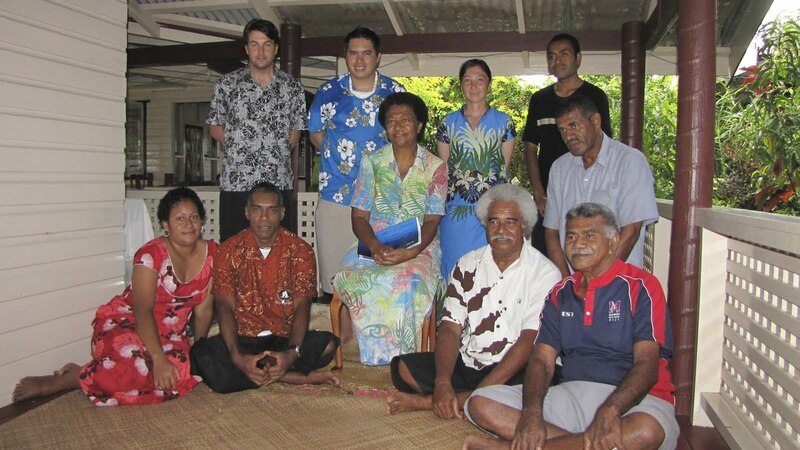 Meeting with Ro Teimum Kepa (seated, center), high chief of Burebasaga Confederacy, at her house in Rewa Village, Fiji. 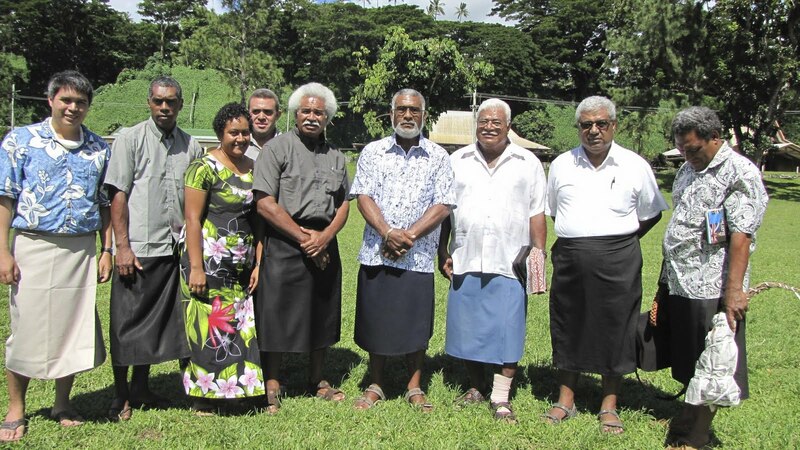 He has traditionally sought the support of the three confedaracies — Kubuna, Burebasaga and Tovata — and was received by Ratu Apenisa Cakobau on Bau, the Marama Bale Na Roko Tui Dreketi in Rewa and Ratu Naiqama. 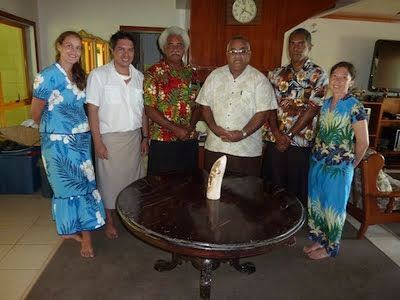 Meeting with Ratu Epenisa Cakobau, high chief of Bau Village and the Kubuna Confederacy at his house on Bau Island, Fiji. The table in the foreground was used during the signing of the cession of Fiji to Great Britian in 1874. He also held discussions with the Ministry of Fisheries and the Ministry of iTaukei “with great success”. “This is a lot of work and we need to move fast. Written by Ilaitia Turagabeci and posted in the Fiji Times on Monday, July 18, 2011.